No. 54, Jalan BP 7/8, Bandar Bukit Puchong, 47120 Puchong, Selangor, Malaysia. 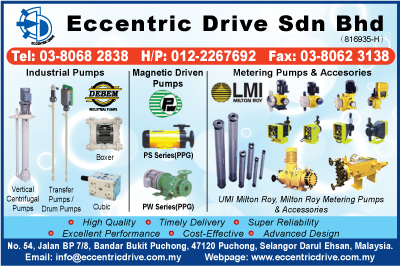 The establishment of the Eccentric Drive Sdn. Bhd. with the objective to emerge as an aggressive and successful in the field of engineering services and trading of various engineering products.